Size General Size For L3000*750*850mm. 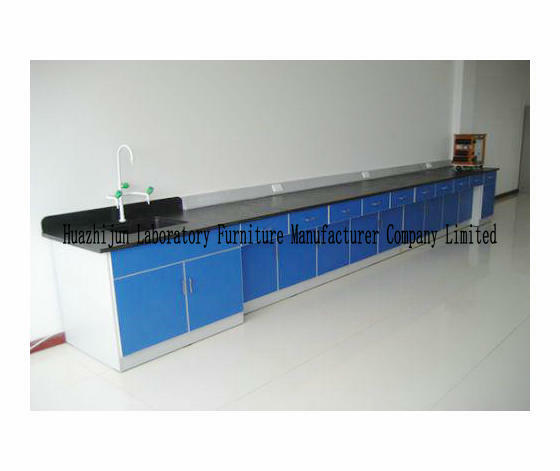 Bench Top Using laboratory special 12.7mm solid physiochemical board, double thick edge. Resistance to acid, alkali, corrosion resistance. Frame 1.0mm cold rolled steel sheet through integral forming. Drawer and Cabinet 1.0mm cold rolled steel sheet through integral forming. Adjustable Feet Combination of stainless steel and high-strength nylon anchor, with non-slip cushioning and height adjustable function. 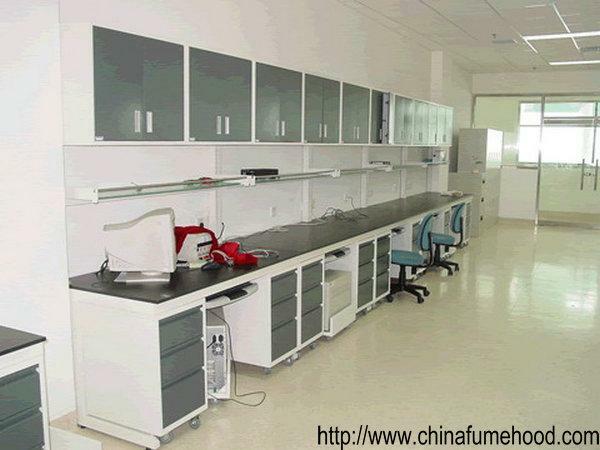 Reagent Shelf 1.2mm mechanism of thick high quality cold-rolled steel sheet as a substrate, laminate 10MM thick frosted glass two-tier structure, with holes of different height, height can be adjusted according to the actual need to be free to use. 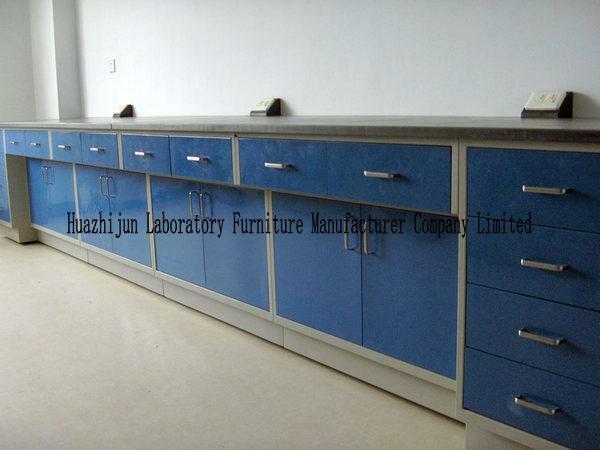 Lab Sinks Material: high density PP, strong corrosion resistance. Tap:PP-R pure tap.Material:PP-R plastic pipes.Spool:Precision plastic spool. The handle:PP material,ergonomic design,comfortable and convenient. Eyewasher Copper tubing eyewasher,gloss epoxy resin coating, corrosion resistance, heat resistance, anti ultraviolet radiation. Material: high density PP;Type: single / double;The bottom tray is arranged in the middle of the drainage hole;Removable drip stick has a locking function, easy to use. 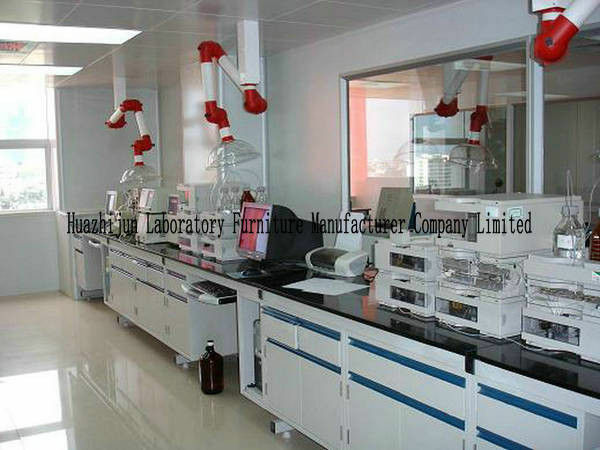 Lab Chairs With the use of high quality plated axial lead, stool surface once molded of FRP.